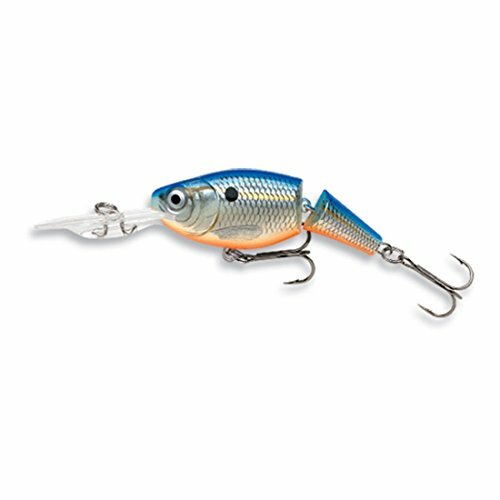 The slightly exaggerated rattlin’ and suspending action of the Jointed Shad Rap, now with a shallow diving lip. The near the surface, struggling action perfectly imitates a baitfish in distress. Even at the slowest of speeds the jointed body looks and vibrates like a wounded baitfish. Multi-species appeal. * Hand Tuned & Tank Tested. * Technique: Casting & Trolling.